The Florida sun is bright, especially with the reflections off the water. Protect your eyes with sunglasses. Polarized sunglass work best because they cut through glare and help you see the fish! We’ll occasionally need to portage through very shallow water. Water shoes work best, but old boots or old tennis shoes that you don’t mind getting wet are fine too. Flip flops and sandals do not work well. You will need high SPF sunscreen for maximum protection from the Florida sun. Forget it and you'll regret it! 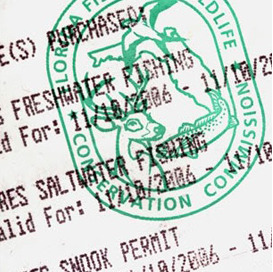 A Florida fishing license can be bought online or by calling 1-888-Fish-Florida. Pack a small cooler with food and beverages. Bring lots to drink, it’s important to stay hydrated!